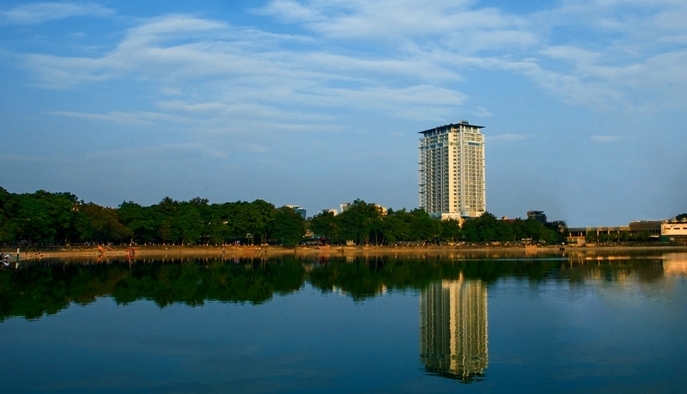 Lancaster Hanoi Tower positions in 20 Nui Truc, Ba Dinh Dist. 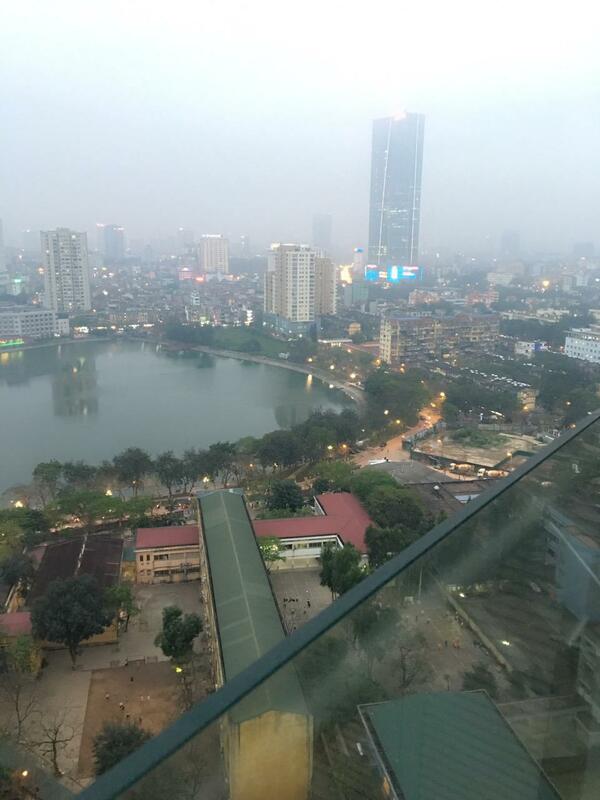 Ha Noi with favourable location to travel and working. 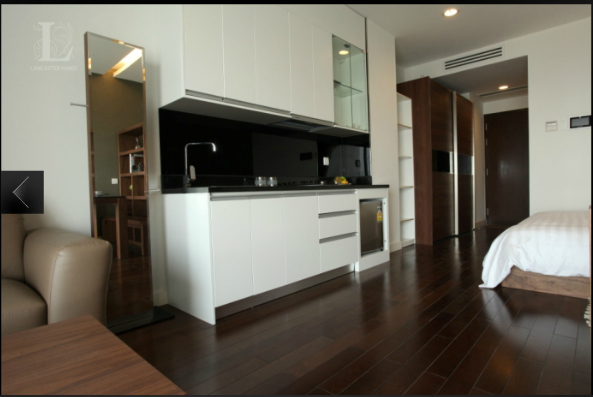 At the moment, Lancaster Hanoi Tower contains studio apartment for lease in a 45sqm living area. 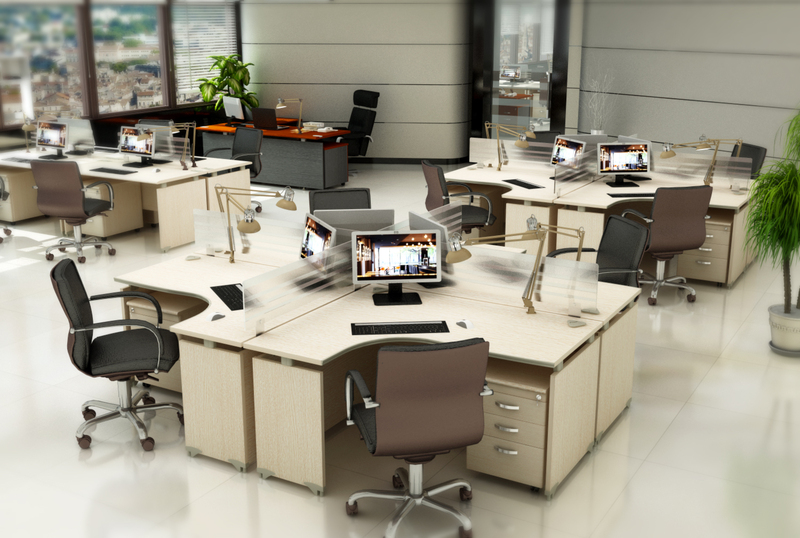 There are a lot of furnished and unfurnished apartments which could satisfy customer’s demands. Amenities: Bring superior lifestyle and convenient environment for residents through wide range of amenities: 5 star pool, spa, playground for children, supermarkets, large parking area…. 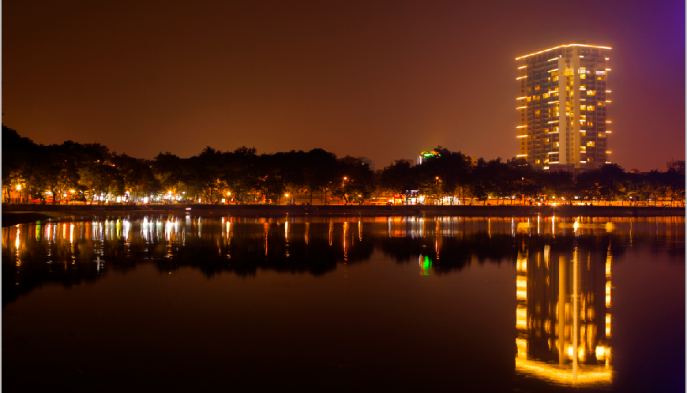 Each apartment of Lancaster Hanoi has an outdoor balcony with a fantastic view of the Hanoicity and Giang Vo Lake with modern and luxurious design which brings superb lifestyle for residents. 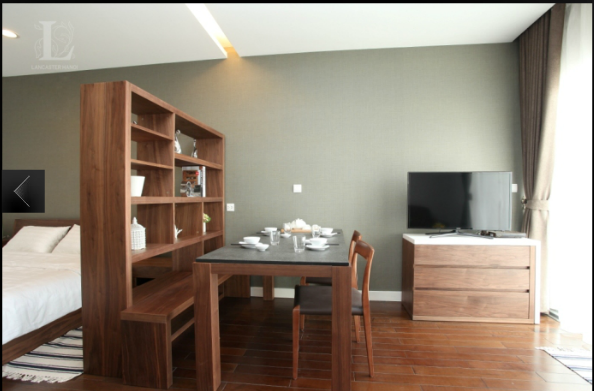 For more details about Lancaster Hanoi Apartments for rent, please contact us. Located on the 15th floor of the building, this modern studio apartment welcomes you with an exquisite and elegant design. The bed is covered with a silk sheet and pillows, a decorative partition functions as a division of space, a small dining table inside the fully equipped kitchen for cooking ... create a simplistic living space but still offers high quality looking. 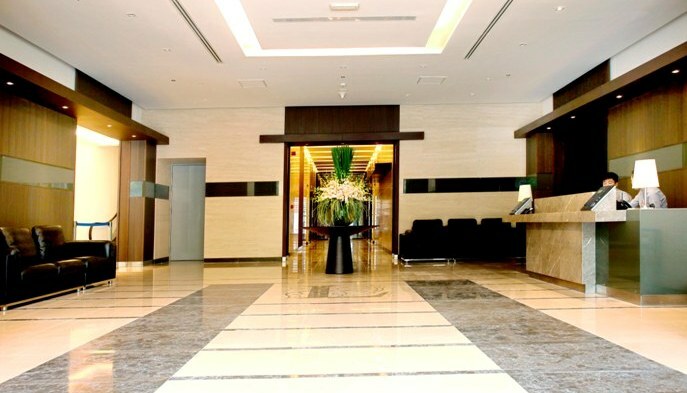 Besides the modern living apartment, the building also provides many amenities such as 5-star pool, gym, spa, restaurant, playground for children ... 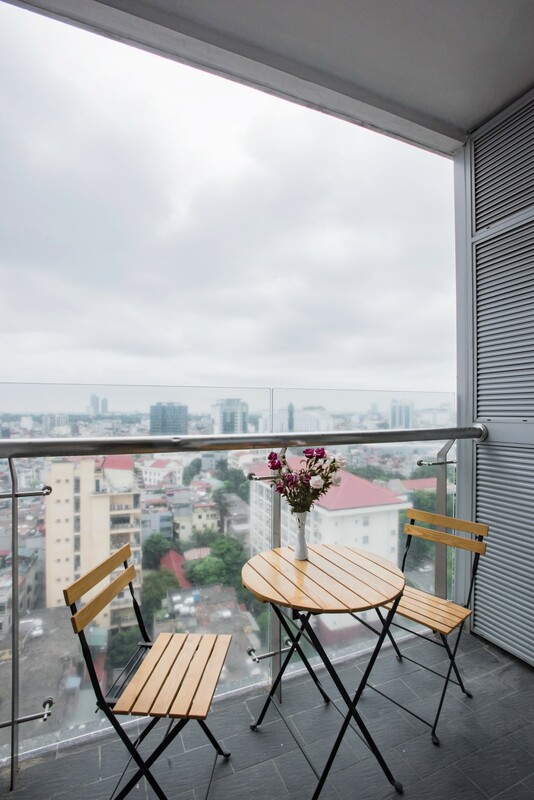 The apartment also owns a lovely balcony, equiped with a small table and a couple of chairs where you can settle down, take a sip of coffee and enjoy the fresh breeze. The harmonious living space combines with high-end amenities will create a perfect respite. 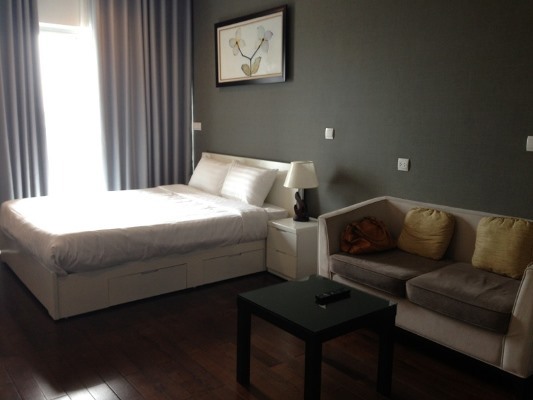 Lancaster studio apartment for rent, Ba Dinh district, Ha Noi. 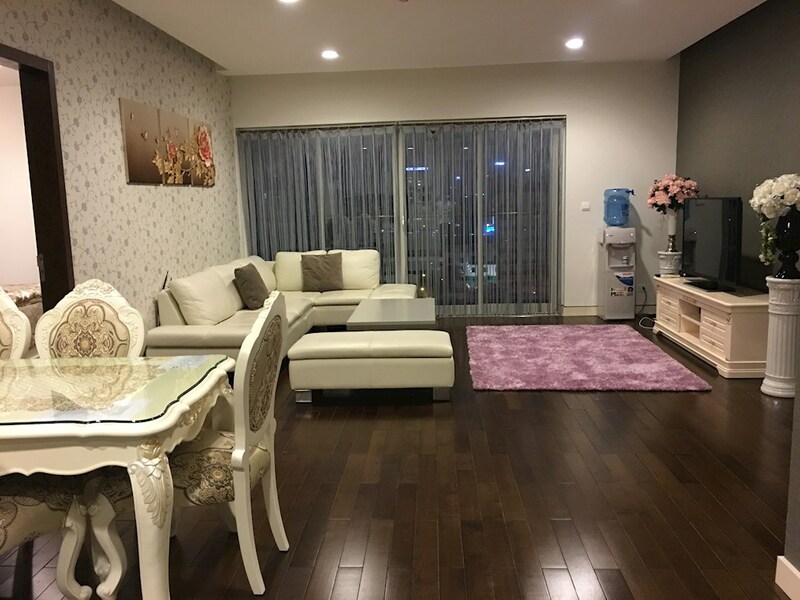 Lancaster studio apartment for rent, Ba Dinh district, Ha Noi. It is located into Nui Truc street, the centre area of Ha Noi, closed to West lake, Old quarter street, diplomatic area with restaurants, coffee shops surrounding, supermarket at Ground floor. The Lancaster supplies full facilities: Indoor swimming pool, Golf play ground on terrace roof, gymnasium, saunas, professional management with reception and security 24hours. 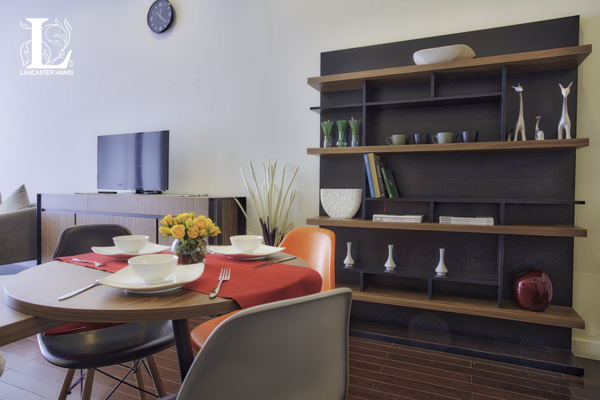 Use area is 45 sqm, designed into 1 bedroom combined with dining area, well equipped kitchen area. It is fully furnished with wooden floor with balcony over-viewing to City. Price: 900 USD per month. 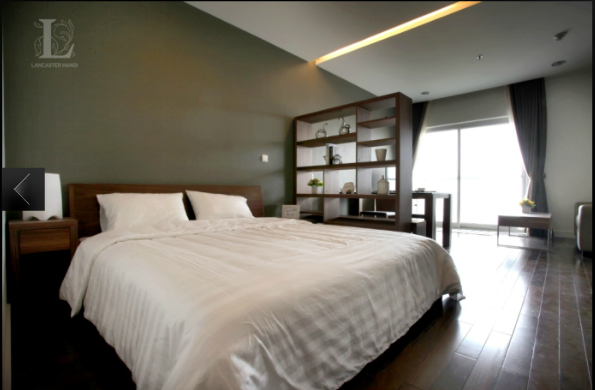 Studio apartment for sell in Lancaster, 20 Nui Truc street, Ba Dinh, Ha Noi. 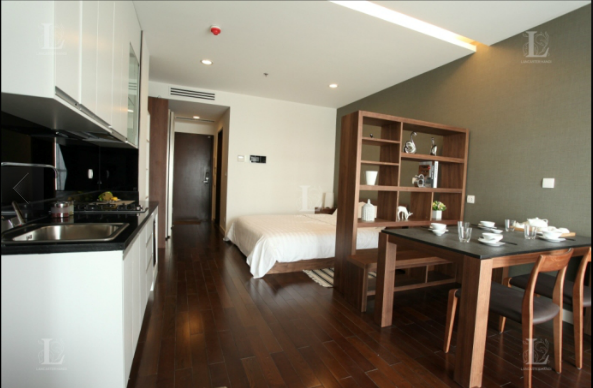 Studio apartment for sell in Lancaster, 20 Nui Truc street, Ba Dinh, Ha Noi. Use area is 45 sqm composited into 1 furnished bedroom combined with livingroom with modern sofa, 1 bathroom with good utilities. It is fully furnished with Television, fridge, washing machine, bed with bed sheet, kitchen cabinet, air-conditioning. Currently Japanese tenant is living. Facilities of building: 4 season swimming pool, gymnasium fitness, yoga, modern basement, security 24hours/7days. Selling price:3.3 billion.